SQL Server 2012 Installation fail "Managed SQL Server Installer has stopped working"
2.接著安裝SQL Server 2012 RTM，當我啟動Setup.exe沒有問題，正常出現SQL Server Installation Center，接下來點選Installation裡面的New SQL Server stand-alone installation or add features to an existing installation. 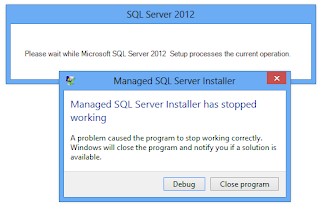 內容:Managed SQL Server Installer has stopped working A problem caused the program to stop working correctly.Windows will close the program and notify you if a solution is available. 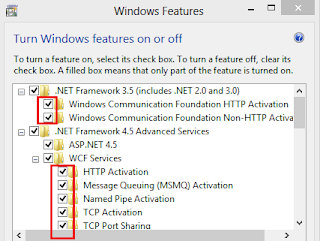 [Resolution] Before you install SQL Server 2012 ,you have to turn follow features all on(include all sub features). I've got the very same problem: trying to install SQL Server Management Studio Express 2012 on Windows 8 fails with this error message. It would be nice if you can post the solution in English. thanks for the answer. But I tried this and it still does not work. 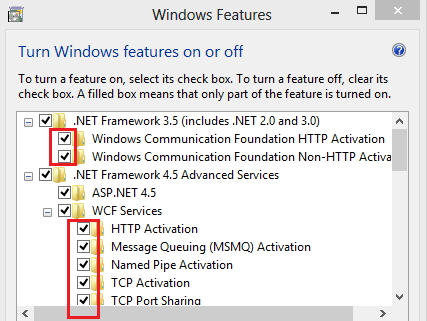 I'm running Windows 8 Pro together with Visual Studio 2012 on my machine.